Yes – 5 years since we landed on dry Canadian soil and began the deep dig of calling this place our home. The time up to our farewell was a frenzy of giving away, selling up and saying sad goodbyes – all woven with a divine thread of a call Kelowna and Willow. 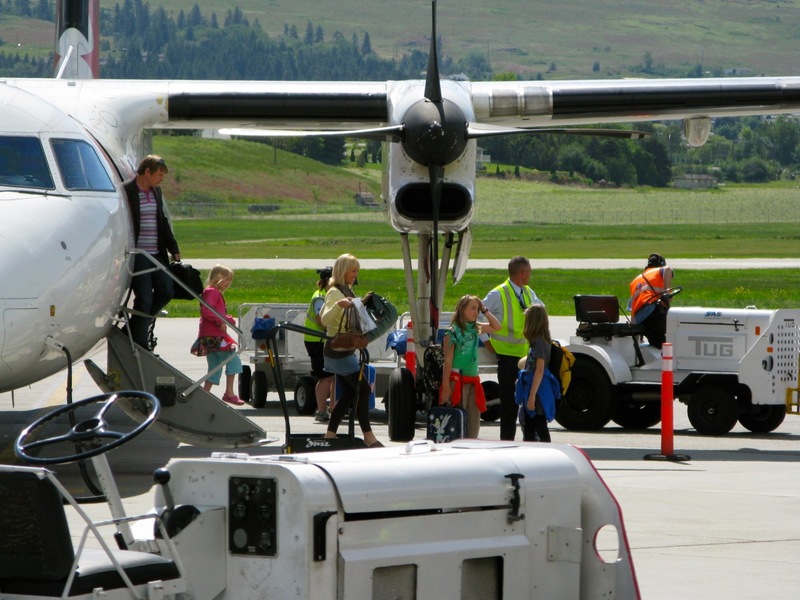 We landed in Kelowna, Me, Phil, and our babes Josiah (3) Bella (7) and Em and Jess (11) and as the warm air hit us at Kelowna airport – so did the welcome. Willow Parkers with gifts, flowers and all things red and white. We all smiled while Phil appeared presidential, shaking hands and kissing babies. What a five years! I have climbed mountains, ran half marathons, faced bears, tripped over snakes, learned to slow, learned to cook, experienced new freedom and found the joy of writing. It’s not been an easy 5 years, just because we are called doesn’t mean we are comfortable, because we live in the California of Canada doesn’t mean it’s all play and no work but this note is not about the challenges! I think the beauty of calling is knowing that those around you are your tribe, whether they are like you or not and knowing that because you are in that place God’s purposes and plans are fulfilled. Initially my expectations put Willow Park into a box. Don’t you find the expectations box can lead to disappointment, disconnection and distraction? God is so kind and gracious and oh so patient with this girl who likes things in a certain way (almost ex control freak) I thankfully found my way out of ‘boxed in expectations’ and stepped into expectancy – an expectancy that keeps God in charge, that knows He keeps His promises and is always faithful. I love all that God is doing in our community. I have loved how you embrace the teaching on hearing God’s voice – and how you chase intimacy and desire to know His voice in your life. I have loved watching so many of you experience Encounter God retreats – recognizing this is not just a weekend but living a life in the practice of confession, turning away from old habits and living in freedom. You all know that our favorite meeting is our Willow One prayer. You are faithful pray-ers – keep on faithful ones. I am excited about Willow Park becoming a house of prayer. The introduction of our Pursuit young adults service is a gift, and not just because I have a couple of young adults of my own…we will always be the biggest cheerleaders of Joel, Melissa and the next generation of our church. I love how our doors have been thrown open to our wider community, please come and join me in the Hope Centre where the gospel is alive at the table over great food, where the gospel befriends and loves people outside of our church walls – let us become the centre of hope in our community. Thank you for loving us and encouraging us – you have been super gracious to this English family and we are grateful…and a special thank you for loving this outgoing, introverted pastor’s wife. As I continue to read your blog, I am encouraged by your honesty and trust in our Lord Jesus. We all need reminders and examples of how deeply our Lord loves us and cares for us especially through those challenging times… Thank you for your sharing, your honesty and your ministry. We love you and your family. May you be encouraged and blessed by your writing. Thank you for your prayers Marion! Oh my heart….Thank you for leading so well…for loving so well…for spending your time and life so extravagantly on us idiots. We are SO thankful for you. Just read this today – was off email on holidays. Very beautifully written, and touching. We love you too!